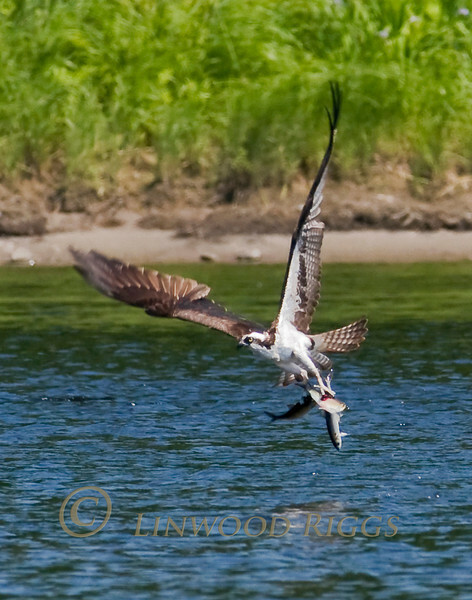 An Osprey carrying THREE fish it plucked from the Kennebec River in Augusta, Maine. June 2010. If the Dept. of Fish & Wildlife shows up this guy might get busted for exceeding the bag limit! Great shot!